Born in 1964 when the youthful American spirit was at its pinnacle, SeaVees is the continued discovery of the California dream. They are endlessly inspired by the coolest place on the planet, in the coolest of times. Each style is derived from an influential date in 1960s California culture with an insistence of product authenticity and integrity. Think rebel cool, aesthetically pleasing and creative ingenuity. Now think of these things with 40 years of perspective, appreciation and contemplation. SeaVees is a journey through which to understand California's vital role in influencing American culture. 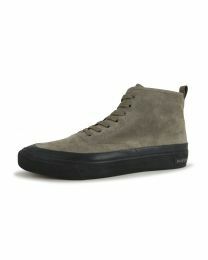 Oddball Shoes carries SeaVees in sizes 14, 15 & 16.